Making sure your home is safe and secure is one of the most important things you can do as a homeowner. Your home is the place where you and your family should feel comfortable and protected more so than anywhere else. From choosing the right alarm system to protect the interior of your home, and specifically selecting and maintaining the perfect fence to protect your whole property, taking proper steps to secure your home’s safety is vital. 1. Choose the right fence: From wooden stockade, chain link, or picket fencing, there are a whole host of options on the market for homeowners to choose from. If you are installing a new fence, it is important to choose not only the most cost effective option, but the longest lasting as well to provide the most security possible. Metal fencing is not only one of the most inexpensive, it is also one of the most effective fencing options–available in a variety of different heights to meet your individual needs. 2. Check your fencing: To truly ensure the safety of your property, it is absolutely essential to check your fences regularly. Make sure there are no holes in metal or plastic fencing, or cracks and rotting in wooden ones. A fence cannot properly do its job if it damaged, and you should address any fencing issues sooner rather than later. In many cases the longer you wait, the more costly the repair or replacement will be. 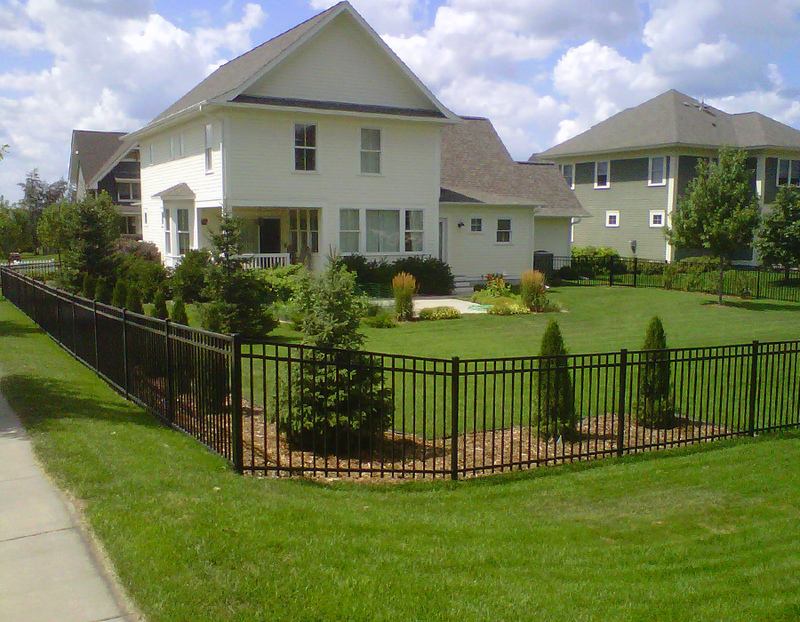 You should call a professional to obtain a quote on a full replacement if your fence is severely damaged. 3. Be mindful of fencing materials: If you have an existing fence, it is important to evaluate the materials it was built with. Plastic, PVC, and wooden fences can become damaged quickly–although this is more pronounced in places with extreme climates, the weather can impact the quality of fences greatly. Metal fencing is the most durable option, as the interwoven metal is coated with a rubber or PVC coating. 4. Check any gates frequently: Regardless of the type of fencing on your property, gate latches, springs, and hinges can become worn or damaged with time and use. To really make sure your property is secure, it is important to frequently check and test all gates to make sure they are functioning properly. Often, frequent use can cause misalignment–resulting in a gate that does not close properly. Metal gates afford the benefit of a more simple, but also more durable latching mechanism. 5. Choosing the right installer: Any time you are having a fence added or repaired on your property, it is very important to choose the right contractor for the job. The quality of not only the materials, but the workers themselves are extremely important. Just because a business claims they provide a service does not mean they do so efficiently and effectively. Make sure they have experience, as well as a good reputation. Fencing is the most important piece of security for the exterior of your home, and possibly for the entire house as well. A good fence is not only the first line of defense against intruders, but a long term property investment that must be maintained.